I popped into Project Audio Visual yesterday and asked Kate from Mass Media Advertising to type in any word, name or place into Wikipedia and then hand some fun reading her mind – be warned she swears. Dan Hudson excels at close up magic and mingle magic, and his incredible sleight of hand ensures that guests are absolutely amazed. For more information about his corporate magic, close up magic and table magic, click here. Combining the art of magic with flair and style, Dan Hudson has a unique ability to capture the senses of an audience. 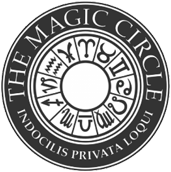 An accomplished member of the prestigious Magic Circle, Dan displays tremendous skill in executing traditional magic tricks in a compelling and contemporary manner. Dan provides magic entertainment across London, Berkshire, Surrey, Hampshire, Oxfordshire and Buckinghamshire. Contact Dan Hudson via phone 07966 036 928, email enquiries@danhudsonmagician.co.uk or using the online contact form for an obligation free quote and let Dan Hudson Magician make the magic happen for you!